Booking a trip for all levels, including non-skiers, doesn’t need to be stressful. A winter vacation can be enjoyed by anyone regardless of whether or not they ski. However, you do need to choose the right resort to ensure everyone can have a good time. The trick to planning this kind of trip is to give the non-skier plenty to do. It’s tempting to leave newbies at the ski school and return when they can hold their own on the slopes, but this won’t appeal to everyone. If those in your group who can’t ski are willing to learn then you need to find a resort that caters to their needs. A good area for beginners to find their feet is essential, but make sure there are areas to progress to when they start to feel more confident. 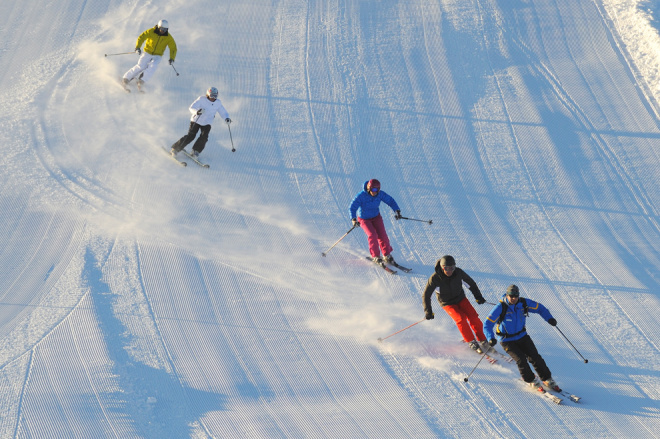 If there are a number in your group who aren’t skiing, it’s important that the resort your choose is easily accessible. This means that anyone who doesn’t fancy skiing can travel a little further afield to find out what nearby resorts have to offer without having to ski there like most people might. If there are a few resorts in the area you want to stay in, look at the bus routes between each as they’re usually well connected. Not only does this give non-skiers more to explore, but it also gives the skiers and snowboarders in your group more terrain to try out. If your non-skiers do want to learn, it’s important there’s somewhere they can hire skis, poles, boots and all the associated gear. This is the best way to ease someone into a new sport without the initial outlay for all the items they’ll need to enjoy themselves. If they don’t enjoy their chosen sport, all they have to do is give the equipment back and book themselves into the nearest spa to recharge for the rest of the trip. You’ll want somewhere that skiers and non-skiers can meet up at the end of a long day. A lively après-ski scene is a must. You’ll want variety too because those who aren’t skiing might be spending a lot of time relaxing in bars and cafes during the day. Look for a resort that has everything from cute coffee shops to big restaurants and perhaps even a club. 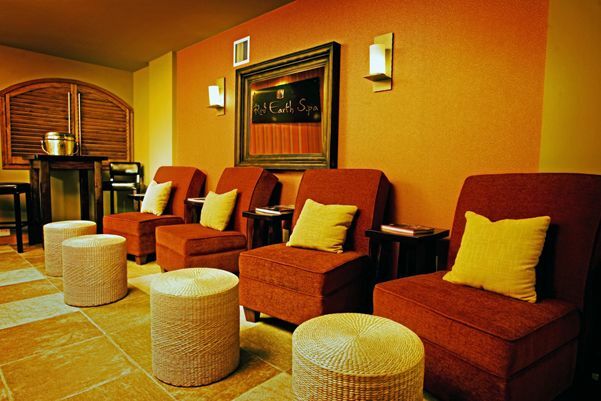 There’s no better way to spend a day than at a spa. A great way for non-skiers or beginners to unwind on a day off is with a dip in a hot spring followed by a few treatments tailored to their needs. We’ve looked at some of the best spas in Canada’s Sunshine Village area; consider one of these resorts for your next trip. It’s important that you give your whole group a wide range of activities to take part in when they’re not skiing or snowboarding. These might be guided snowshoe tours around the area, a day of fun on a snowmobile or a session of tubing down a snowy slope. Mammoth Mountain ski resort in California is well known for its wide range of activities on top of its 3,500 skiable acres. It’s all good and well thinking about those who can’t ski, but you need to make sure that everyone is having fun. Once you’ve found a few places with great terrain for beginners, lots to choose from when it comes to après-ski, and a few more activities on offer, take a look at what there is for more experienced skiers and boarders. Most resort websites will give you the percentage split between beginner, intermediate, expert and advanced terrain. Consider your group’s ability levels and book accordingly. It’s worth discussing all of this with your group so you can book something that suits everyone.